JotForm is the easiest online form builder, allowing you to quickly create forms that can be filled out and returned to you. It provides a wealth of fields that can be added to collect any type of information necessary. Sometimes you want to turn these forms into binding contracts. 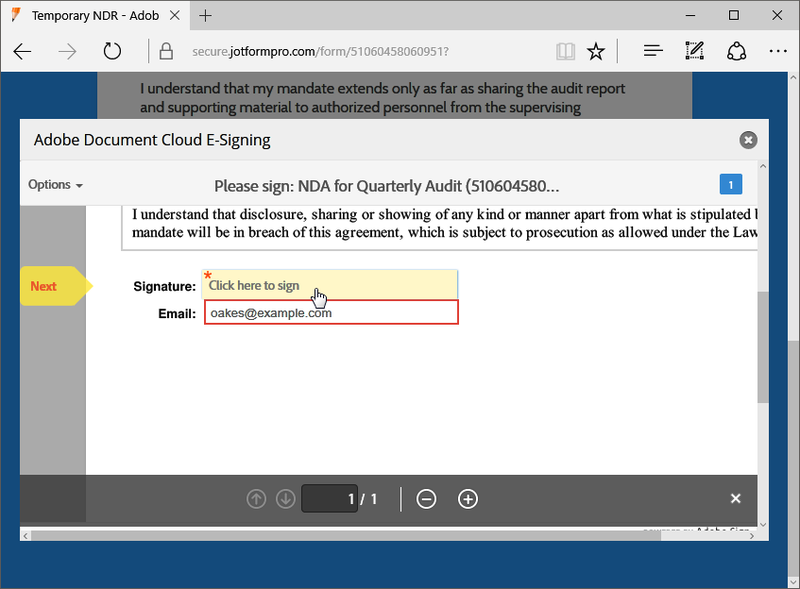 Adobe Sign (formerly known as EchoSign) allows users to sign documents electronically. It's widely accepted and used around the world. 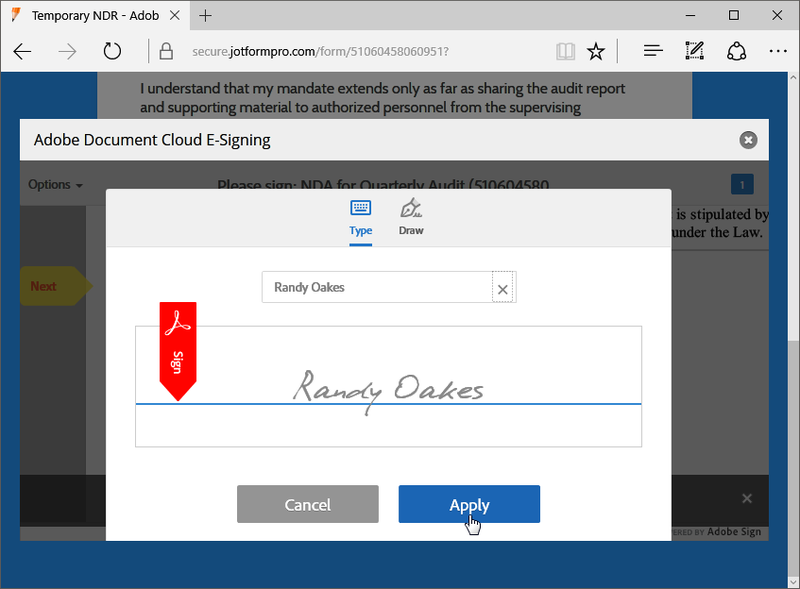 This e-signature widget allows you to turn your jotforms into signable contracts. 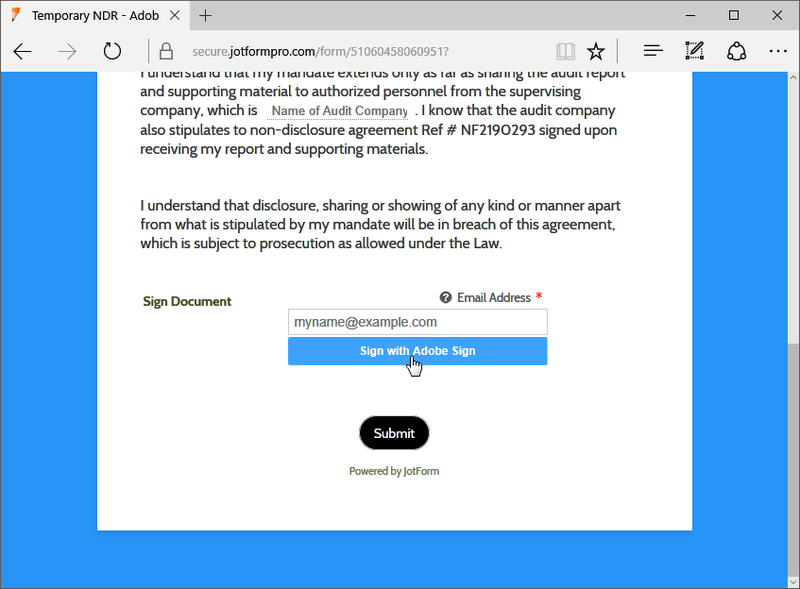 Users can affirm their agreement by adding their signature right within their browser. 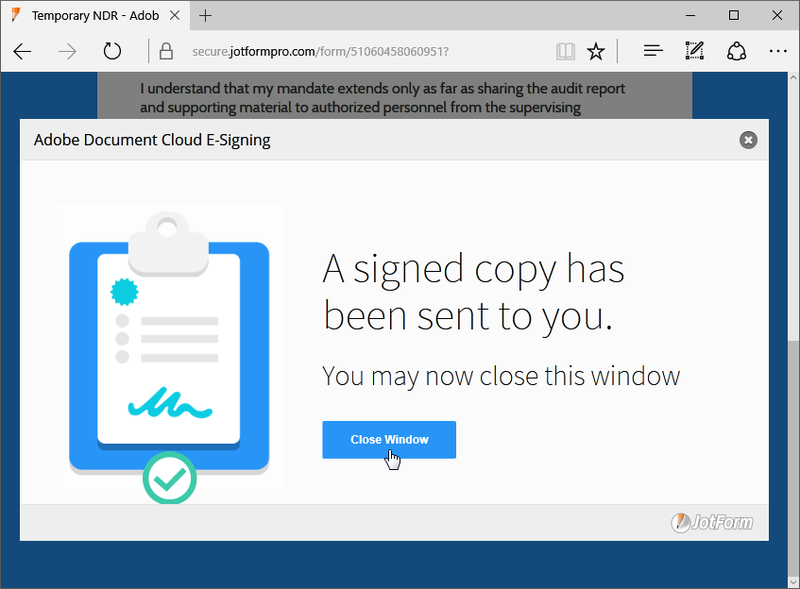 It will automatically generate a completed copy of your form, open the generated document in Adobe Document Cloud where your form users will append their e-signature. It's easy to set up: just authenticate your Adobe Document Cloud account from the widget settings, enter the title of your form and you are ready to go! same as 123tax, it keeps telling me authenticate it and it brings up a pop up window to sign in then from there I have no idea what to do??! @bradminhinnick when the popup appears, Adobe Sign will ask you to login after that it should tell you to close the window when successfully authenticated. From there you just have to click the Update Widget on the wizard to complete the integration. How do I create a form exactly like this one?